Customer relationship management (CRM) refers to the strategy of leveraging customer data, transactions and engagement for business opportunities, mainly, in sales, marketing and, to some extent, product development. Its aim is to nurture a long-term and profitable relationship with customers. How? By understanding their needs and interests better to provide better and more personalized sales and support experience. The term is also used to refer to the system or software that helps you run CRM processes. Read on to know more about the answers to–what does a CRM system do? Rudimentary tracking methods no longer make the cut in today’s demanding, fast-paced and multi-tasking workflows. Hence, embracing technology and ditching the traditional pen-and-paper data entry mechanism is essential to improve organization, productivity, and accountability. This is where CRM software programs come into place. The numbers don’t lie on how this software’s impacts your business. For every dollar spent on a CRM solution, users get an average return on investment of $8.71 according to Nucleus Research. A separate study by Aberdeen Group reveals that 24% more sales representatives achieve their annual sales quota by having mobile access to their CRM. With the right usage and implementation, it brings transparency, decreases guesswork, eliminates manual data entry, and drives revenue and productivity. Let’s go through the details of this software’s functionality and purpose, among others. 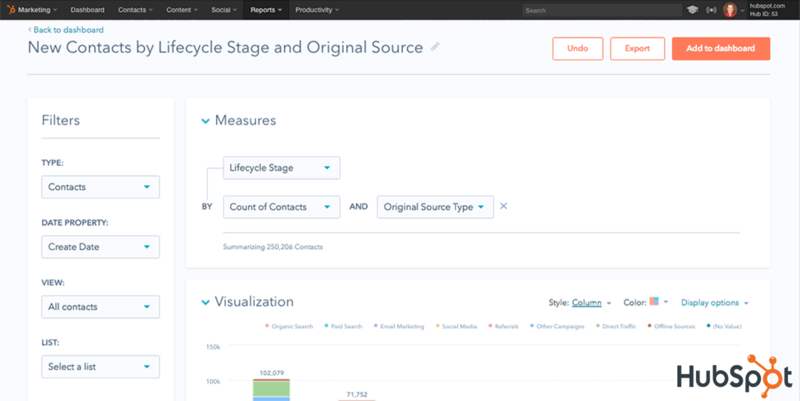 The contact management module in CRM is more than just for collecting data, but it associates records to metrics like in this case, life cycle stage (HubSpot CRM). Many experts believe customer acquisition is five times costlier than selling to your existing customer base. It’s much easier to sell to someone who already has used your product and know you. In doing so, CRM strengthens your revenue stream and ensures constant income even while you seek out new customers. In fact, a Forbes article cited that 80% of customers do not buy again from a company even if they’re satisfied. Why so? The article said many companies don’t engage their customers and build lasting relationships with them. Instead of just looking outwards for sales, CRM helps you look inwards for opportunities right under your nose. Likewise, in the age when customers are highly connected and demand real-time response, companies turn to CRM to provide personalized engagement amidst their thousands, if not hundreds of thousands or more, of customers. Better customer insights. Even with thousands of customers, it’s feasible to get a full view of customers. CRM organizes customer data and associates related engagement, be it transactions, complaints, social media mentions, etc. The result is you gain deeper insights about the customer, his or her interests, preferred product in your line, recurring problems and more. The CRM system consolidates all these information and in the process, you can slice and dice data in different ways. Consistent messages. CRM keeps customer processes from different departments in sync, so data is unified and consistent throughout the company. This gives your staff the ability to engage customers with consistent communication by accessing a common database that shows recent customer activities, communications and status. Whether it’s providing support or making a sales call, your employee sees the latest customer record. That means a customer service rep can endorse a ticket to another rep for further action, or a sales manager can reassign a deal to another sales rep, who builds on the previous activities done on that deal. CRM saves you from repeating the same messages or, worse, contradicting messages. Automated workflows. When you have thousands of customers or even more, the process of recording customer data or generating reports becomes overwhelming. A CRM system automates these time-consuming manual tasks. You’re free to focus on core activities like selling, developing campaigns or strategizing plans. Repeating processes like submitting forms, creating reports, organizing notes and answering FAQs can be preset based on your rules and specs. Greater efficiency. When processes are automated and in sync and insights are shared, your departments run in one fluid motion. They can collaborate in the same CRM platform, share ideas and inputs, tag specific persons even outside of their team and share calendar, reports, alerts, and emails to communicate clearly. What happens is your teams accomplish tasks faster, especially those that involve interdepartmental cooperation. Better decisions. CRM allows you to discover insights from huge volumes of customer data. Armed with this knowledge you can make more informed decisions and better results as a result. Customer insights are critical especially in strategic planning like product development and branding. Many CRM solutions let you slice and dice customer data in different ways like by demographics, sales transactions, and customer service calls. CRM shows you important customer information you can use the better to align sales (Freshsales). What are the uses of CRM software? Centralized data and processes. Think of CRM as the nerve center of your customer data that is accessible across the company. All tasks, reports, updates, conversations, and interactions related to customers are stored in one place. Processes that relate to customers are likewise centralized and in sync. A CRM system features communication and collaboration tools like shared calendars, dashboards, chat, email integration, and document management to let your teams work closely together. Manage deals and tasks. With CRM you can easily track deals across the sales stages. You can measure not only how much leads are converting but also identify the obstacles and pinpoint where they happen across the pipeline. When deals are won, you can create another pipeline for repeat sales opportunities. Automate processes. CRM can automate much of the daily tasks done by sales and marketing. These include form completion, lead scouring, organizing tasks, email alerts, launching scheduled processes, etc. You can preset rules based on your specs to define automation. For example, all new leads are sorted by location, or all support calls are aggregated by the day and forwarded to marketing for analysis. Store customer information. It’s the basic CRM function, storing customer data in a centralized database. Beyond a glorified address book, CRM software helps you pull up customer data from contact details to social data, conversations, calls, preferences, etc. Forms are also automatically completed, with related customer data linked together. Likewise, CRM software lets you enter data using different devices like mobile, desktop or via web and across various operating systems. Do you know CRM works best with a marketing automation software? You can find more information here on how marketing automation software works and complements your CRM. With a good CRM a task is easily followed up on complete with reminders and notes (Salesforce CRM). What are the other things that CRM can do? Some CRM systems go beyond core functions. These functions can be packaged as add-ons or featured as separate modules or applications. Manage email campaigns. CRM solutions like Insightly are good at email marketing. They help you manage online campaign from conceptualizing ideas based on customer data to scheduling and launching the email campaign inside the CRM system, and to gathering feedback, such as how many have opened or clicked on your email. Lead scores. Leads are benchmarked based on their probability of conversion. A good CRM system uses key metrics to calculate the probability, such as whitepaper downloads, customer service conversations, campaign feedback and more. Freshsales is an example of a CRM software with good lead scoring. Team collaboration. Most CRM solutions features shared dashboards, calendars, document management and centralized processes that allow remote teams to work closely together. For example, customer service can route tickets to the product team for more accurate answers, or sales can forward its customer discoveries to marketing for strategic campaigns. To aid in teamwork, many CRM systems feature built-in communication tools like chat, activity feeds, tags and mentions, or they integrate with your existing email and phone/VoIP channels. Collaboration tools aren’t limited to CRM. If you’re interested in them for your other business processes like projects and operations you can find here more collaboration software options. CRM dashboards give you a quick lookup on your KPIs (Pipedrive). What are the CRM features? Contact management. Records and retrieves customer details. These include first-contact transactions and current engagement. Conversations and social mentions are likewise associated with specific customer profiles. Reporting & analytics. Mines and consolidates volumes of customer data for analysis. Reporting features let you generate documents highlighting the insights discovered from data mining and consolidation.  Tasks and deals management. Tracks deals across sales stages, from initial lead to conversion. Tasks are also associated to relevant deals. Mobile app. Most CRM systems have mobile apps with scaled down features. The app is useful when you’re out of the office and need to access reports, customer data or enter information on the go. Customization. Allows you to configure processes based on your workflows. Customization tools also let you slice and dice data how you want it or generate reports based on your metrics. Ease of use. CRM systems especially cloud-hosted are designed for a code-free experience. Drag-and-drop tools, intuitive navigation, easily accessible features, and smart tutorials help you walk through the system with little trouble. CRM can aggregate disparate records and generate reports that deliver insights on your market (Zoho CRM). How are CRM systems sold? Fully featured. A CRM solution can be fully featured like bpm’online CRM, which includes all the essential CRM functions in one solution. The feature set is divided by price plans, with the premium plan offering the complete set. Modularized. Some CRM systems offer a modularized approach like Salesforce CRM, which offers separate products with scaled features. As your need grows, you can integrate the basic module with more sophisticated ones to expand the functionality. Cloud-hosted. The CRM system is hosted by the vendor and users pay a subscription fee to access its features. Cloud CRM is cost-effective for small companies, although it entails a recurring monthly fee and your data is stored on the vendor’s server. On-premise. The CRM system is installed in a client-server. This setup involves one-time costs for license fees, installation, and hardware. Likewise, an internal I.T. team is required to manage the system. What are examples of CRM systems? According to CRM software rankings, here are the leading products in the category based on overall features, functionality, and value. HubSpot CRM is one of the most popular CRM software solutions as it offers all the essential features you need to organize, track, and nurture your leads. What’s even more compelling is that all these are offered for free forever. The software takes repetitive admin tasks so your sales team can focus on more important tasks such as selling. It enables you to manage your pipeline with complete visibility, automate logging of activity, monitor each interaction, and communicate with customers and prospects in real-time. Designed for growing companies, the software offers a solution that you can use to set a foundation for building deeper relationships with your contacts using a free system. HubSpot CRM features include such as contact management, company records, a lead analytics dashboard, email tracking, and scheduling, and reporting dashboards, among others. The free tool offers 1,000 contacts, users and storage for your entire team. You can immediately start using the software once you sign up for HubSpot CRM free software here. Freshsales reviews indicate this sales CRM tool offers a full-featured, user-friendly solution in an SMB-friendly pricing. It offers advanced features such as AI-based lead scoring and 360-degree customer view in a single app. It gives you complete information about your customers from conversations, deals, and company touchpoints to their scheduled tasks and appointments. The built-in phone and email tools enrich your conversations. The cost-effective phone software lets you directly call phone numbers right from Freshsales where you’ll only pay for your minutes on the call with no extra software, setup charge or hardware installation costs. Other features include event tracking, reports, workflows, mobile apps, and integrations. If you want to explore the software at no cost, you can sign up for Freshsales free trial here for 30 days. Salesforce CRM is a tool that offers a full range of features and functionality with its wide variety of CRM categories. Based on your needs, it offers Sales Cloud, Service Cloud, Marketing Cloud, Data Cloud, Analytics Cloud, App Cloud, Community Cloud, and IoT, among others. Salesforce CRM overview shows it tracks all of your sales activity from each lead, customer and opportunity to give you deep marketing data and social insights for growing revenue. With its customer-centric approach, it packs its features in packages and solutions that match your needs at a price that you can afford. The tool is also a fully cloud-based, mobile, and complete CRM software for each touchpoint and lifecycle stage of your customers. Simply sign up for Salesforce CRM free trial here to try the app’s tools at no cost for 30 days. Pipedrive customer relationship management solution is designed for small teams who need a platform that uses minimum input while generating maximum output. This simple tool is quick to set up so users can immediately start concentrating on driving sales and closing deals. It takes care of admin tasks by automatically tracking emails, calls, and progress. To show clarity and consistency in your sales process, you get a streamlined view on a single platform. Increasing productivity and accountability is made with ease as the app puts due activities at the top of the dashboard such as deals and pipeline so your team can see your progress and figure out what to do next. For an immediate access in checking out the software’s functionality, you can sign up for Pipedrive free trial here. Zoho CRM details describe the platform as an easy-to-use online CRM solution for collecting more leads, monitoring your pipeline, and closing deals faster. It helps you build a scalable sales organization by gaining insights about your business, predicting customer behavior and engaging with customers. Understanding that there’s no one-size-fits-all solution, Zoho CRM lets you add industry-specific modules to your platform, customize the user interface to match your business, and place custom buttons according to your preference. This multi-channel CRM software offers features such as sales automation, team collaboration, pipeline management, AI, and performance and analytics, for a start. You can test drive these features and more of its functionality at zero cost if you sign up for Zoho CRM free trial here.